If you’re a foodie – or know a fellow food lover – I may have a really good Christmas gift idea for you. 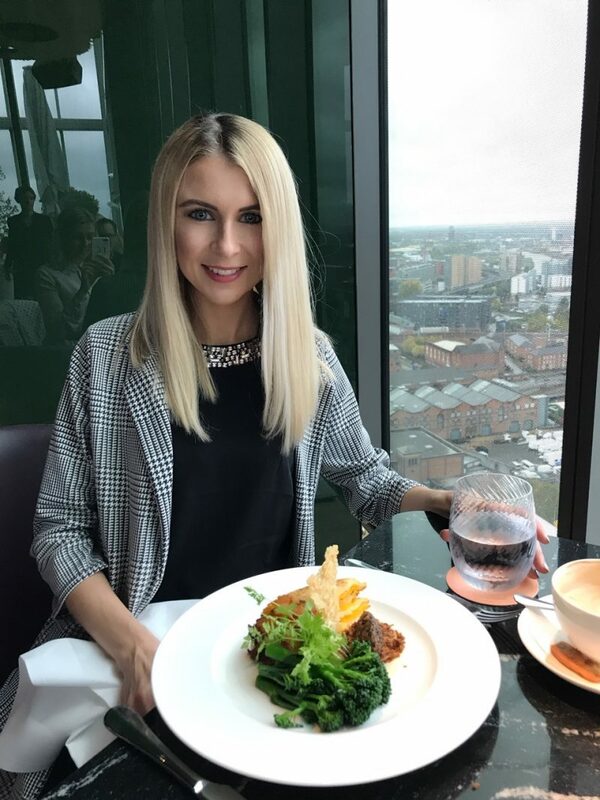 I recently was gifted a Virgin Experience Days voucher which entitled myself and a guest to a three course meal at 20 Stories, Manchester, for lunch time. If you’re ‘down’ with all the latest restaurant and ‘cool places’ news, you’ll know 20 Stories is one of the wow places for 2018. Situated 20 stories high, it’s known for it’s gorgeous, glamorous outdoor terrace and stunning interior. Since this place launched, it has complete given Cloud 23 and Manchester House (which has now closed) a run for their money. 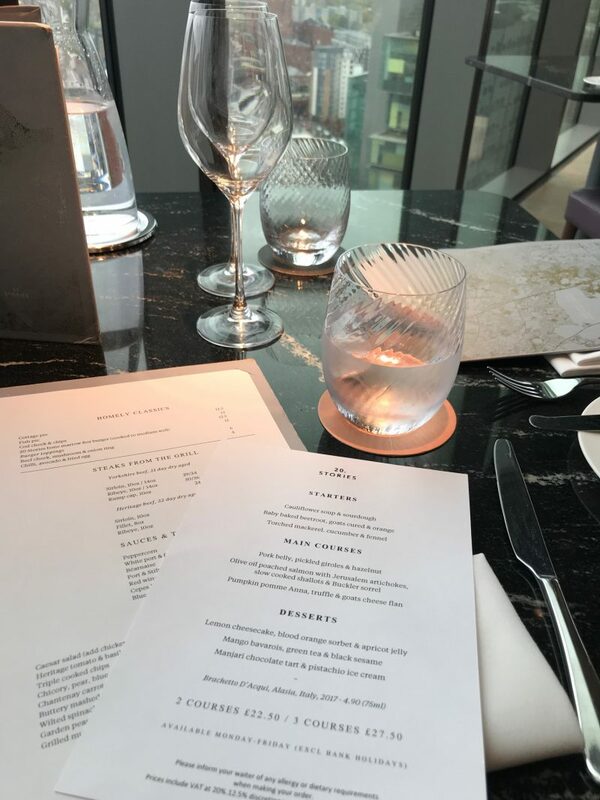 It’s a pretty special place, with a first class service, elegant surroundings, and menus curated by executive chef Aiden Byrne, who earnt the title of the youngest ever chef to earn a Michelin star in 2002. 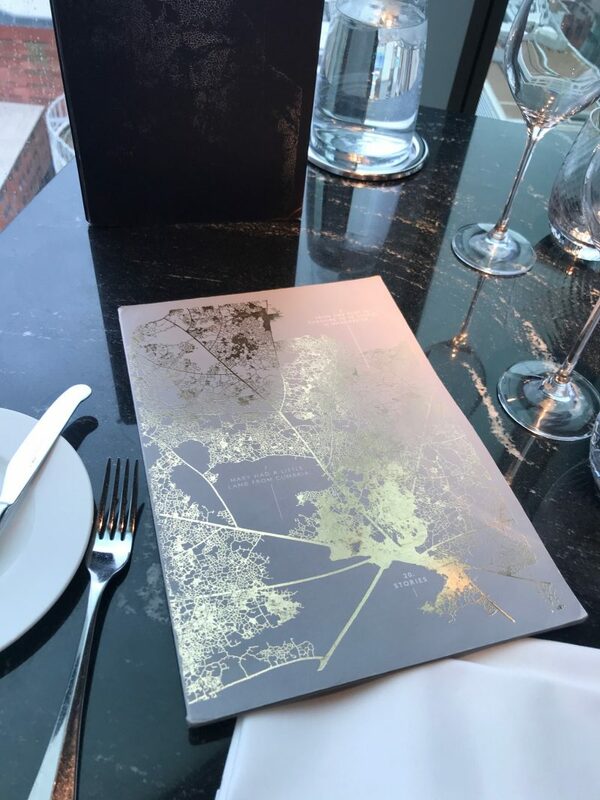 With dishes that showcase the very best of the Northwest, you can expect three courses of culinary excellence as you take in the atmosphere with this 3 course lunch menu voucher. 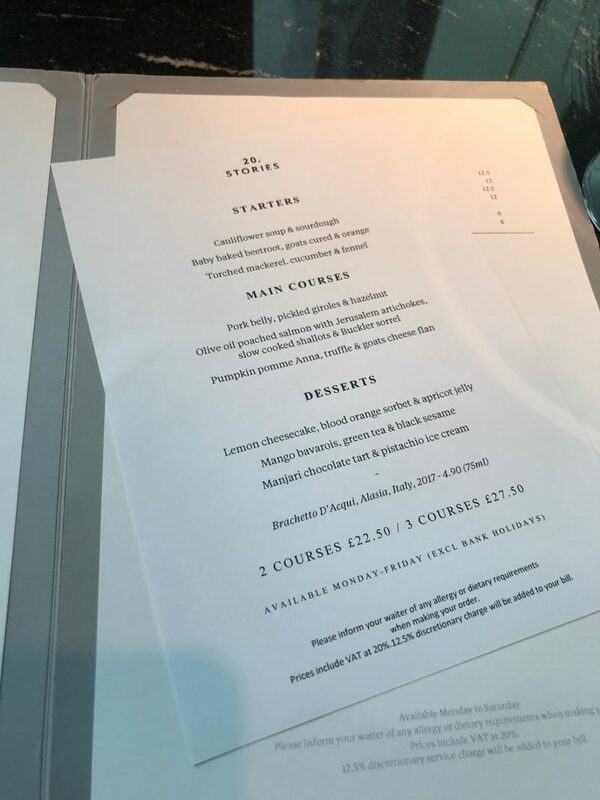 It costs £55, and lets 2 of you pick a starter, main and dessert from the menu. 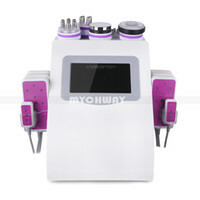 Although you get three options to pick from for each, don’t feel you’ll be short of choice. I was genuinely surprised that each starter, main and dessert sounded delicious in it’s own right, and I actually felt a little stuck for choice! 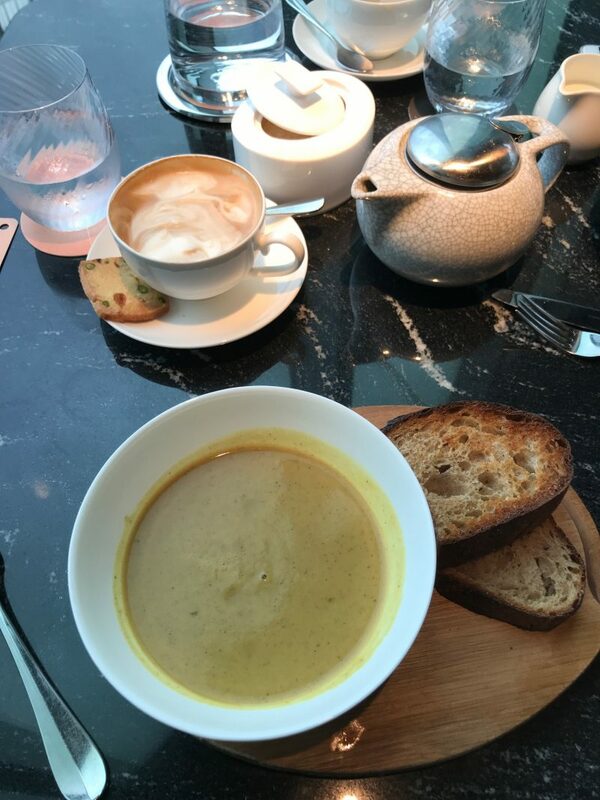 I ordered a soya milk latte, which came with a yummy little biscuit on the side, before selecting the Cauliflower soup and sourdough starter, the Pumpkin Pomme Anna, truffle & goats cheese tart, and then then indulgent Manjari chocolate tart with pistachio ice cream. 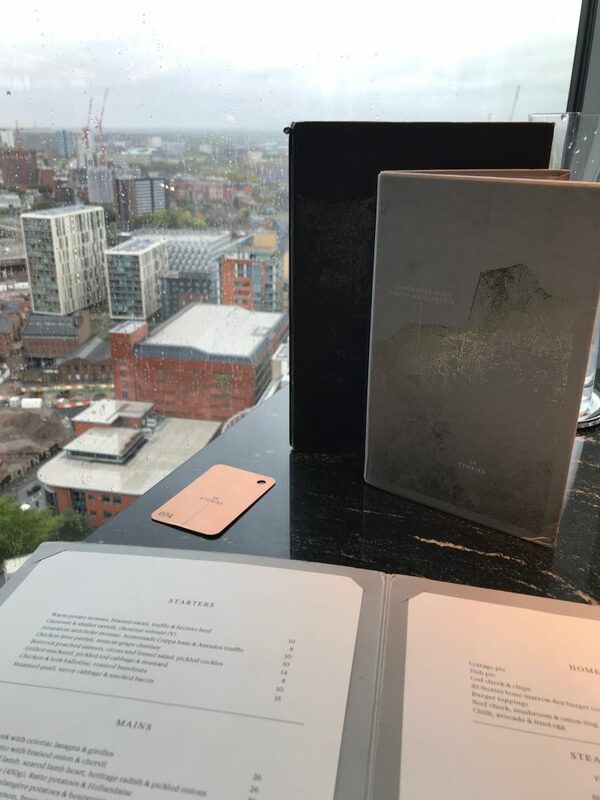 We booked in for midday, in which we were taken to a table which overlooked the views of Manchester city centre, extremely high up in the sky. Sadly it was a rainy, grey day. But it’s Manchester, right? At least it is a true representation! 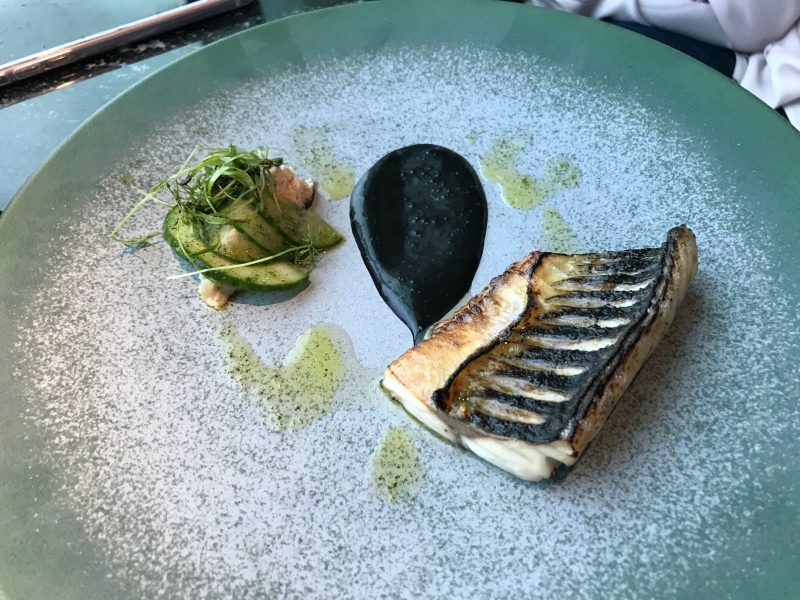 My sister went for the Torched Mackerel starter, which was cooked to perfection and extremely full of flavour. 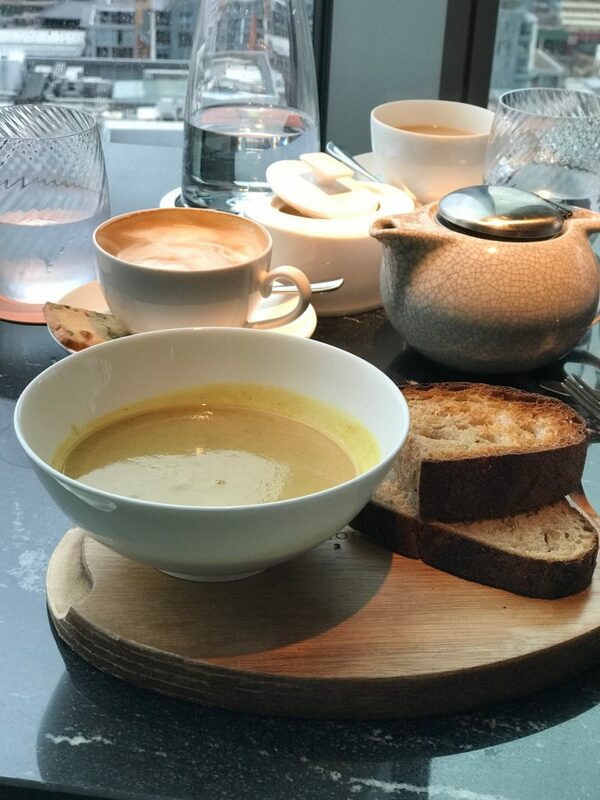 For me, my Cauliflower soup came, thick, rich and creamy – the perfect pairing to dip in my crusty sourdough bread. 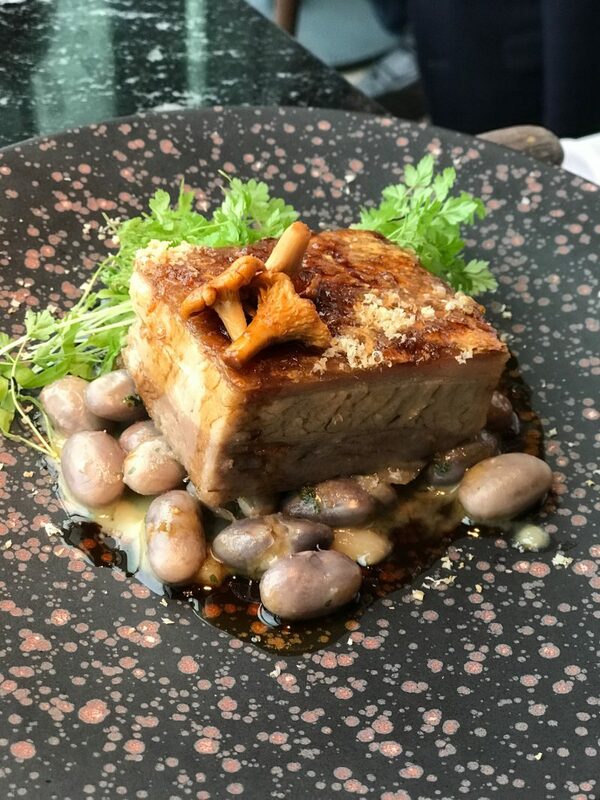 My sister went for the Pork Belly main course, which was much more filling than it looked. A large chunk of succulent meat with pickled giroles and hazelnuts for a boost of flavour. She actually didn’t finish it as the meal was more filling than imagined and she wanted to save space for the indulgent chocolate tart dessert! And dessert did not disappoint. But warning: it’s dense, rich and extremely chocolatey. So make sure you save room for it as it is just too damn tasty to leave! The chocolate was thick and intense, with a crispier pastry and a sweet pistachio ice cream to break up the chocolate flavours. So so so so good! I was surprised how busy it was when 12.30 arrived. It seems like a lot of people know about this great value for money lunch deal, with couples and groups piling in and dining from it. Top quality food, incredible atmosphere and the perfect way to spend my Friday afternoon. 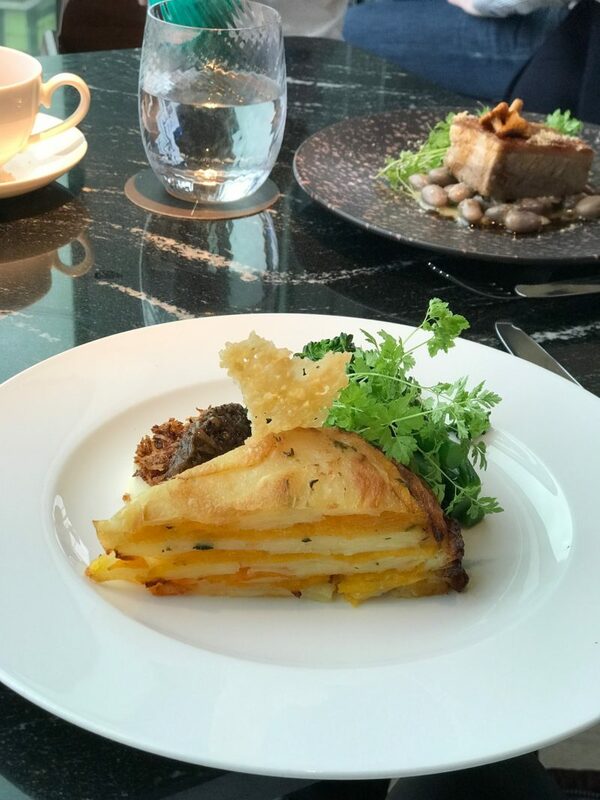 Thanks Virgin Experience Days – I can’t recommend this enough for the foodies who like the finer things!